The Fulfillment Fund, a nonprofit organization dedicated to helping promising yet under-resourced Los Angeles students graduate from high school and complete college, will honor Rich Ross, Chairman of The Walt Disney Studios, at its STARS 2011 Benefit Gala at 6:30 pm on Tuesday, November 1, 2011, at The Beverly Hilton Hotel. The evening will include a Founders’ Humanitarian Award presentation to Madeleine and Tom Sherak. 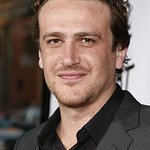 Jason Segel, co-writer, executive producer and star of Disney’s The Muppets, will serve as master of ceremonies along with the upcoming film’s star amphibian, Kermit the Frog. The star-studded, inspirational evening will feature a live performance by the theatrical cast of Disney’s classic The Lion King. More than 900 guests are expected to attend the glittering event, co-chaired by acclaimed film and television producer Jerry Bruckheimer, Creative Artists Agency Managing Partner Kevin Huvane, DreamWorks Studios Principal Partner/Co-Chairman/CEO Stacey Snider, and Disney Media Networks Co-Chairman and Disney-ABC Television Group President Anne Sweeney. 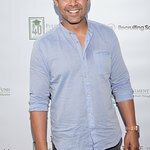 Red-carpet arrivals begin at 6:15 pm, with cocktails at 6:30 pm, followed by dinner, world-class entertainment and a unique live auction hosted by actor/comedian Sinbad. A highlight of the evening will be an opportunity drawing for a 2012 Fiat 500c donated by Motor Village LA. Opportunity drawing tickets are $50 each, or five for $200. Winner need not be present. For more than 34 years, the Fulfillment Fund has been dedicated to providing first-generation, low-income students in Los Angeles with the support necessary to graduate from high school, earn a college degree and become productive and successful members of society. Through classroom instruction, college counseling, mentoring and scholarships, the Fulfillment Fund transforms the lives of students. In 2011, Fulfillment Fund students graduated high school at a rate of 91 percent, and of those, 93 percent went on to college. For tickets and more information, please call Levy, Pazanti and Associates at (310) 201-5033.